One. There is possibly something illegal going on in this photo, but don’t let that detract from this moment. Two. During Jerry’s fourth year in Chicago, the Bulls were fighting to keep their season alive and had to win four out of five games in five nights to make the Playoffs. 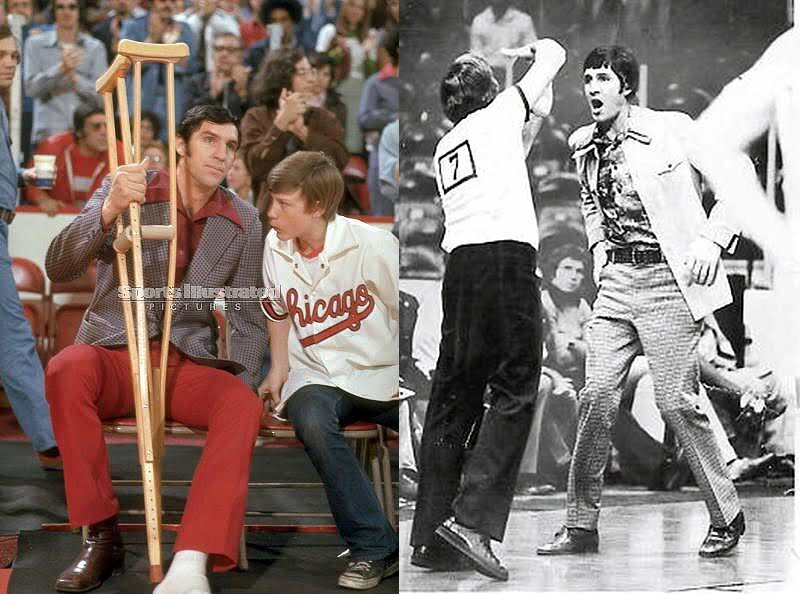 They won their first three games, but Jerry broke two ribs and separated his sternum when Lew Alcindor [i.e. Kareem Abdul-Jabbar] knocked him down with just seconds to go in the third game. 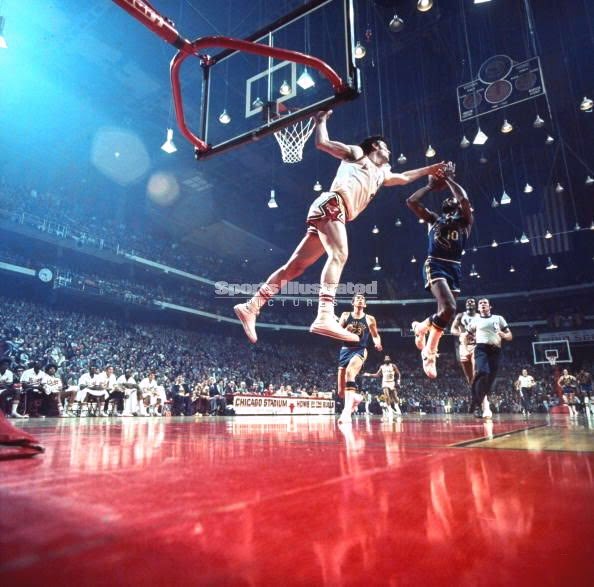 Before the start of each game, four of the Bull’s starters–forwards Walker and Love, center Cliff Ray and guard Norm Van Lier–lope nonchalantly one by one onto the court and gently tap each other’s hands as they line up. Not a “playing days” story, but I had to include this. Seven. The first Chicago Bull. The first number to be retired by the Chicago Bulls. 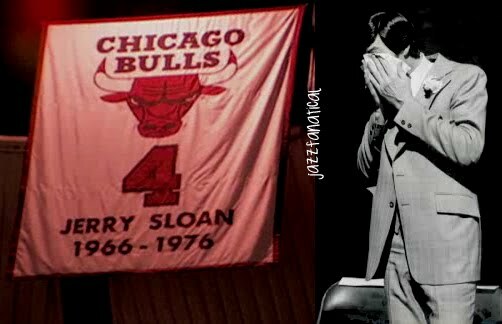 After the Bulls retired Jerry’s jersey in 1978, it hung all by its lonesome at Chicago Stadium for 16 years. And he’s still the toughest of them all. I know that I’ll have occasion to say these words again one day, but I wholeheartedly hope that that day is not in the near future and still way, way down the line: Only coach I’ve ever known, only coach I ever want to know. (Over the years, we’ve heard many an analyst say that Jazz teams take on the character or mentality of Jerry Sloan. Can you imagine how far we could go if this actually happened? Just as an aside, I can imagine the expression on his face sitting there with the crutches being the same expression when Fes tries to do/say something funny. hey, fes says that he’s serious now. lol. the more i read, the more i am in awe. seriously, my appreciation for jerry is just, like, coming out of my ears. This is bad-assery at its finest! Jerry Sloan and Norm Van Lier were the toughest guard combo to ever play the game. They were the guys that you hated unless they were on your team. Then you loved them. They never quit and you had to give everything you had to beat the Bulls in those days. It’s a shame Jerry never won that elusive NBA championship.